Today is LeBron James’ 32 second birthday. I had a feeling back some 14 or so years ago, that this guy was here to stay. I bought his minted high school cards, a complete Upper Deck Basketball set of trading cards, complete with rookie cards (two full of them), even a jersey, shirts and a LeBron James Mr Potato Head. Well, I wasn’t completely right, but nonetheless, I wasn’t completely wrong either. He did take his talents to South Beach and some hated him for it and some loved him for it… namely The Heat fans. He ended up coming back and following through on the plan that had been set in motion. It was electric here in Cleveland and the Cavaliers have been thrilling us since after bringing The Championship Series to town. He did, in fact, turn out to be one of the greatest to ever play the game and it’s been a gift to watch him and the Cavaliers dazzle crowds for so long now. What will another year older bring after the gifts he’s already bestowed upon Cleveland. After his 13-year career, James is calling the Cleveland Cavaliers his team and Akron his home. 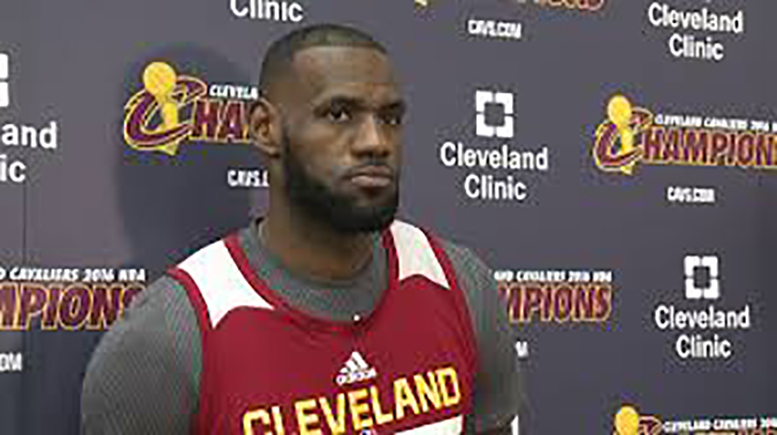 We have written article upon article about the athlete known as King James. 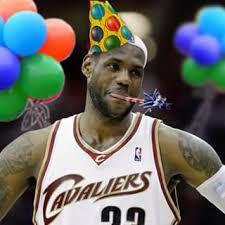 Wishing LeBron James a happy 32nd birthday from NEOSI, friends and all of your beloved fans. Thanks for giving us plenty of work to do and a seemingly endless supply of excitement. Personally, I can’t wait to see him square of with his son, LeBron James Jr. in another seven or eight seasons. I’ll buy his cards too! Do the Cavs Need to Upgrade at Wing, Point Guard or Post?